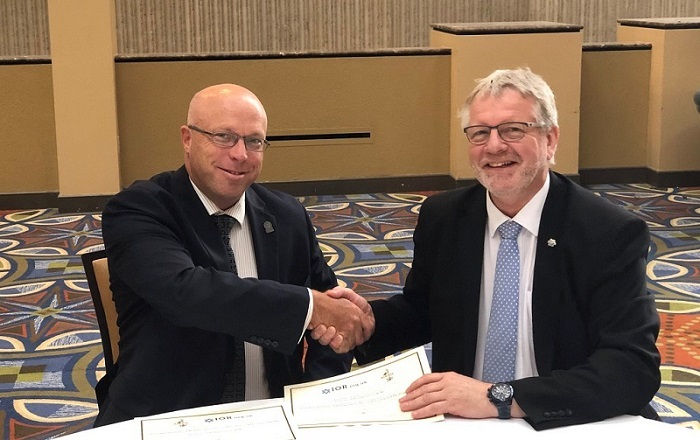 Two of the world’s leading HVACR member organisations have put pen to paper on a Memorandum of Understanding (MoU). The Australian Institute of Refrigeration, Air Conditioning and Heating (AIRAH) and Institute of Refrigeration (IOR) formalised the agreement on January 14 at the ASHRAE Winter Conference in Atlanta, Georgia. The MoU is aimed at “furthering a more effective and beneficial exchange of knowledge and ideas in the HVACR industry”. In practical terms, it will provide the members of AIRAH and IOR access to each other’s technical resources, foster global collaboration on research projects, and provide shared training opportunities. The two organisations have also agreed to give full support to International Refrigeration Day, slated for June 26. The day will see refrigeration-themed celebrations taking place across the globe including in the UK and Australia to raise the profile of the industry.